3D Crystal Puzzle from University Games features uniquely-shaped, interlocking, see-through crystalline pieces that give puzzling a whole new dimension. 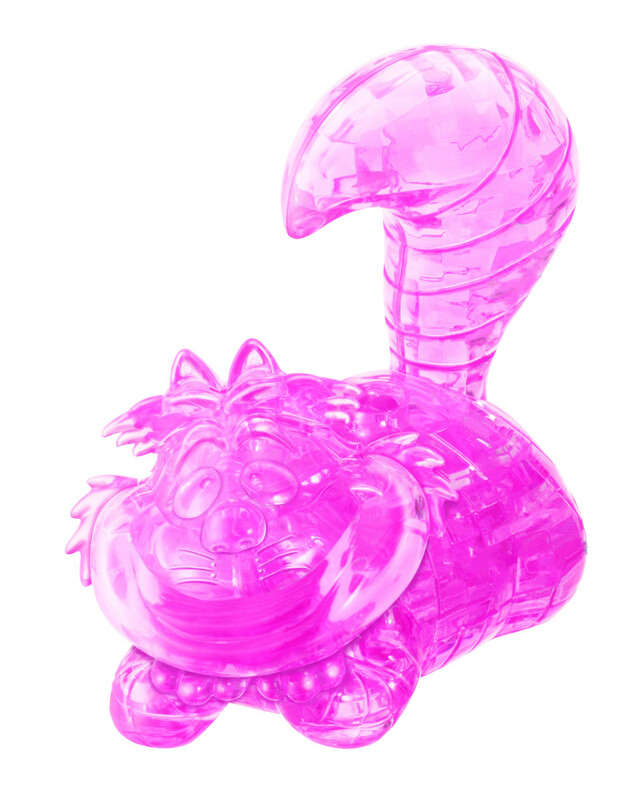 Puzzles have 36 pieces and creates a small handheld 3D Cheshiere Cat when complete. This is a great gift item for an Alice or Wonderland fan! Great fun and a conversation starter! The jointing really catches the light and draws you in.